I’ve been asked a lot lately how to get started writing novels. Which is cool, because people must think I know what I’m doing. My advice is almost always the same; when you first start out, there’s value in writing every day. You need to build some kind of writing discipline, a dedicated writing habit. 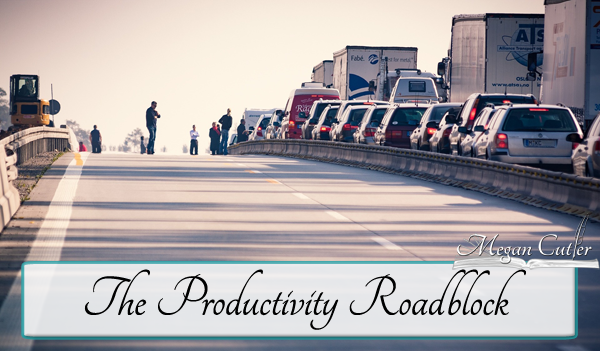 The drive to write doesn’t develop magically; we have to cultivate it. Everyone gets frustrated or feels uninspired throughout the process. The key is learning to do the work anyway. So it’s ironic that no one warns you about the flip side of that process, about what happens when you get sucked into your work, too dedicated to spending every waking moment on creativity. Because the effects can be devastating. Back in April, I first noticed a tingling sensation in the last two fingers of my left hand. I didn’t think much of it at first, until it refused to go away. This was my introduction to cubital tunnel syndrome – the less famous brother of carpal tunnel – which is caused by a pinch of the ulnar nerve in the shoulder or the elbow. In my case, I’m pretty sure it’s the elbow, since the cause is clear; thirteen hours a day spent typing. You’d think this would be a wake-up call; and it was. Suddenly, I recognized my poor eating and sleeping habits, how little I exercised and how much strain I put on my left arm while I worked. But ironically, I failed to recognize the biggest issue; I work way too much. And I’m not patting myself on the back for that, congratulating myself for the amount of work I cram into a day or a week. We live in a society obsessed with working as much as possible. Being constantly busy has become a badge of prestige. But I’ve railed against that before. I’ve spoken a lot about honoring the limits of the body in terms of how much energy we can reasonably expend within a day, week or month. The trouble is, I wasn’t living by that advice. While I occasionally took a day off to rest or recharge, reassuring myself it was okay to need that time, I still drove myself to work thirteen hours a day six days a week. I started this year with hefty goals, believing focus and motivation would carry me to the finish line. I knew these were unreasonable goals when I set them. I knew they were unlikely to be attainable. But I tried anyway. And it’s true that I did accomplish a lot this year. It’s reflected in my word counts – which are higher for almost every month, sometimes almost double what I managed to do last year. I’m proud of the amount of writing I managed to do and the stories I finished in 2017. It’s also reflected in my accomplishments – the Mystical Island paperbacks, my first attempt to run a marketing campaign, and the fact that I made money for the first time in three years. But it’s also a cold, harsh fact that I’ve not only been managing my time poorly, I’ve convinced myself it was due to lack of focus. I genuinely believed I could spend the bulk of the day fulfilling ambitious writing goals and cram the rest of my work (marketing and other business aspects of self-publishing) into the free time in between. The trouble was, fulfilling those ambitious writing goals left me no free time. And often exhausted me to the point where, three months from the end of the year, I simply can’t maintain that level of momentum. This is especially egregious considering how much reading I’ve done about productivity limits (everyone reaches a point beyond which they simply can’t accomplish any more in a week without rest) and my stated dedication to healthier choices. I’m hardly the first person to realize that you need to build time for business into your day if you want to be a successful self-published author. And I’m not the first person to realize that balance is hard to strike. But I do wish I had realized sooner I was running myself into the ground. If I had worked smarter, I might have struggled less with achieving my marketing goals this year. I probably also could have saved myself a lot of stress and frustration. But what can I say? I’m one of those people who has to learn everything the hard way. So I’ve made a lot of changes to my work habits over the past few weeks. No more working evenings (I gave myself a cut off time). No more working weekends (a five day work week is enough). More exercise, more healthy eating, and whatever else it takes to release the pinched nerve in my left arm. More reasonable goals. More flexibility. Better management of priorities. And, perhaps most importantly, reminding myself that my health is at least as important as my work (after all, it won’t get done if I can’t do it). I’m looking forward to better managing my goals in 2018 to align with the philosophy work smarter. How do you manage your busy schedule? Let me know in the comments! I don’t have a set schedule in place on when I write. I just write whenever I can. Having said that, it’s hard for me to dedicate so many hours to write anything. Though I do get frustrated when I don’t accomplish goals I set for myself. But I’m learning to be okay with not writing every day. It’s not to say that I’m not dedicated or that I refuse to write if nothing’s inspiring me. I’m learning to put myself and my well-being into the equation. There have been moments when I’ve questioned myself as a writer. Most of the time, it’s due to not taking a moment to step back from my work and allow myself time to refill my creative well. And I’m taking this month to organize and prepare myself for the coming year. There are goals I want to accomplish this year. But that can only happen if I find that elusive balance with everything going on in my life. It’s super important to find the right balance, and to realize that too much of a good thing can become a bad thing! Good for you, realizing that!